Having given up refined sugar—possibly forever—for the sake of my physical, mental, and spiritual health, I knew that continuing to post under the moniker Smells Like Brownies would not really fit my new set of needs and hopes. I still love the homey feeling conjured by the smell of a warm pan of brownies (although, these days I am baking up some highly experimental batches full of beans and avocados and other positively healthy things I may eventually share if I get them right…). But writing a blog named after brownies no longer fits me. It doesn’t proclaim that I am God’s. That the food I eat is part of his plan for me. That I am more than a girl with a sweet tooth. 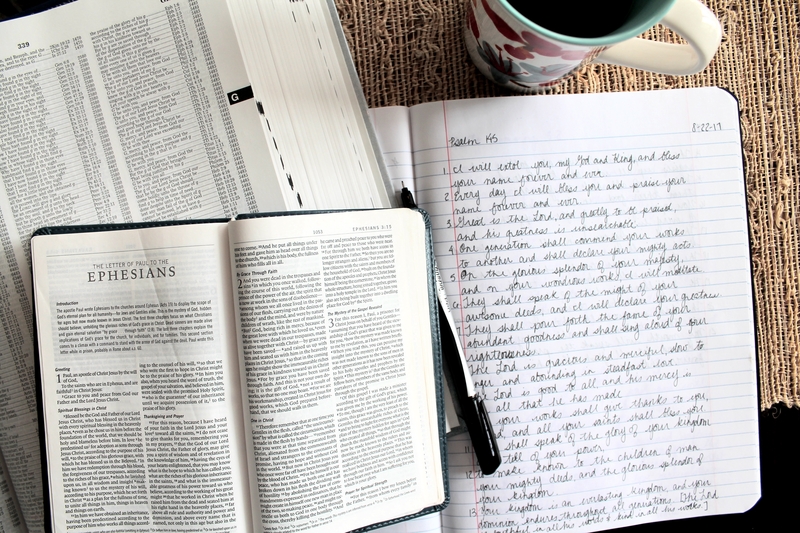 So I started praying that God would inspire me with the perfect new home for my blog. I began combing the Bible for perfect (but somehow, available) phrases that might suit. I spent hours mulling over adjectives, writing them down to test them out. Surrendered, satisfied, content, restored. Full. Fulfilled. Refreshed. I wanted something that could still inspire delicious thoughts, but also would reflect a broader purpose. 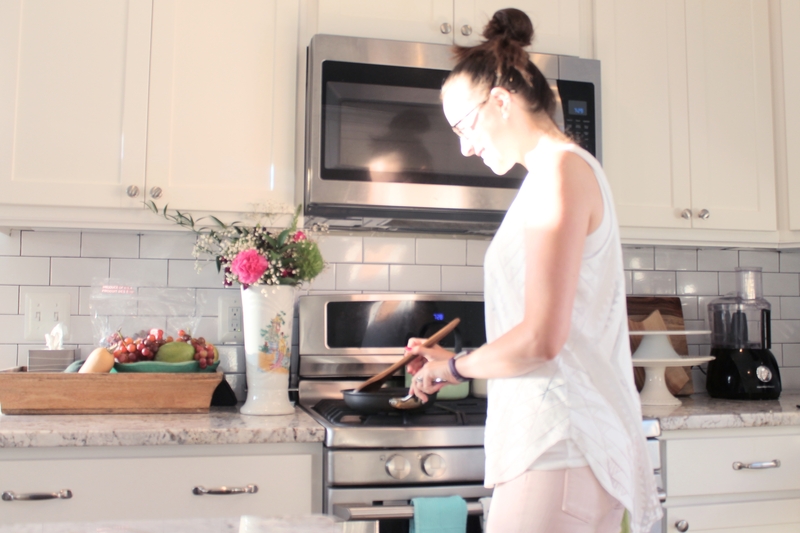 I still want to inspire you and help you grow your repertoire in the kitchen. I still want to comfort you as you stand at the stove and make memories with your family and friends. But I also want you to know that God is the perfect giver of comfort, and that I rely on His grace daily. He is the creator of creativity, of flavor, of fulfillment. 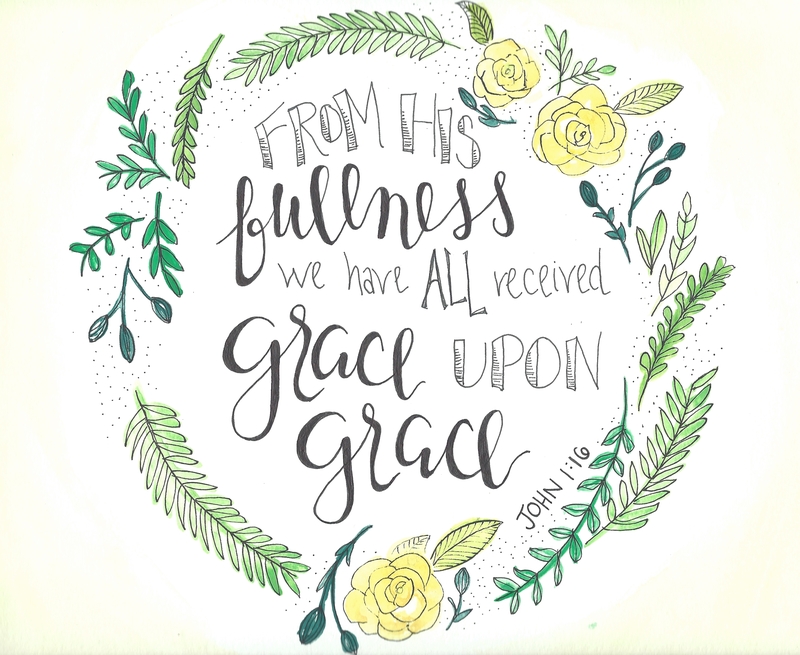 I returned time and time again to God’s grace, a precious grace that has meant so much to me as I struggle (yes, struggle) to give Him control of my habits, to turn my habits into heathy things that respect and honor the time He has blessed me with on earth. In His graciousness, God did not punish me for clinging to broken self-image all those years and choosing food over Him, beyond the ways I punished myself by doing so. In His graciousness, God pursued me always, and He patiently waited for me to come to Him with my burden. In His graciousness, God has shown me His love and strength and a way off my destructive path. God, in His grace, speaks such love to me. God, in His grace, has created me to depend on Him, especially in the area of eating. I am savoring His grace. I crave it. I am grateful for it. And every taste of God’s grace, even in truly hard experiences, is sweet. As I move forward to share recipes and thoughts and life on this blog, I hope you will find God’s grace evident in your own life. Beautiful! Love the new name, the new focus, all covered by God’s grace! Melissa, I love it. I don’t understand blogs but I’m willing to try. The only other blog I have ever gone to was JoAnns when they were in New Zealand. You might check out the Daniel plan diet developed by Rick Warren with a few doctors who believe in whole natural food. Thanks for all the grace quotes. I will be giving a 10 minute talk about grace for one of our church weekend gatherings in November so this saves me some time looking all these up. Are you familiar with Amuse your Bouche and Christina Cooks? They are both vegetarian sites. My prayers are with you for continued success with your new blog. What fun. Thanks! I will check out those sites; I’m sure I will find some delicious goodies. Let me know how your talk goes, how exciting! I know your road has been long and difficult at times, but I know you are in the right place now. I will miss the “brownies smell memories” that came to me when I saw you had posted something new, but I still will look forward to reading your new blog. Thanks Mrs. Havens, you are so sweet!